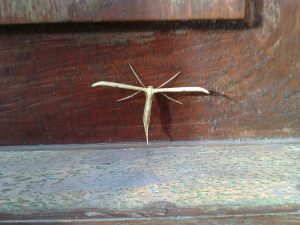 Observation - Plume moth - UK and Ireland. Description: Found this on a door at a customer's house. Found this on a door at a customer's house.